Is there a unit identifier? The only other information with the stamp is "Command post office box number 25251 M"
any idea on this signature ? I cannot quite make it out,"Albrecht" perhaps ? 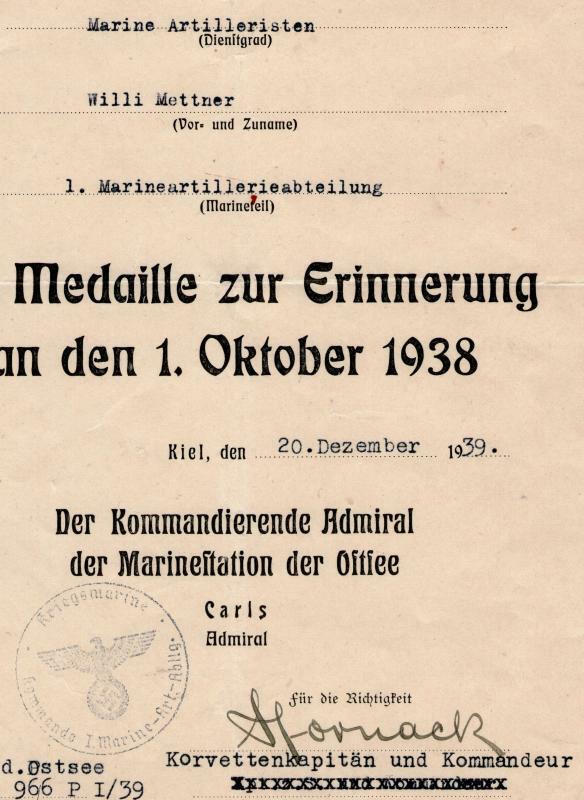 Yep - that belongs to Conrad Albrecht who held that position from 3rd July 1935 to 31st October 1938. 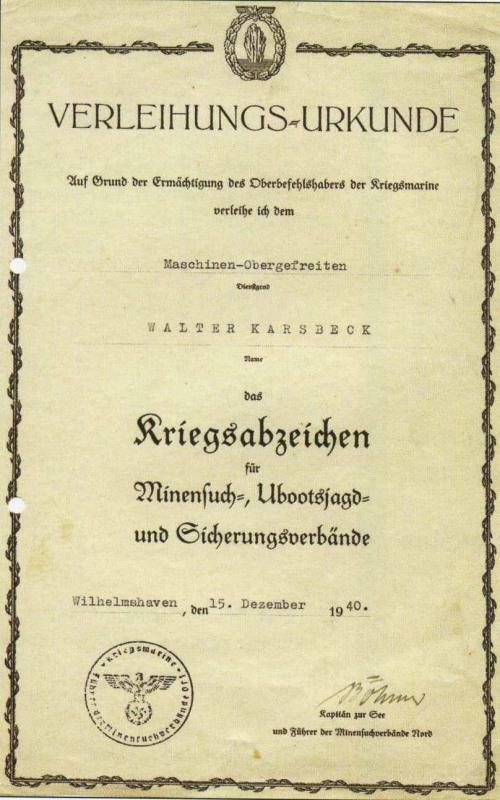 He retired in December 1939. It looks like you do not have this signature in the database,so i will add it. Dear friends, please help me - who is this? i may have posted this one before but after going through the database i could not find it. 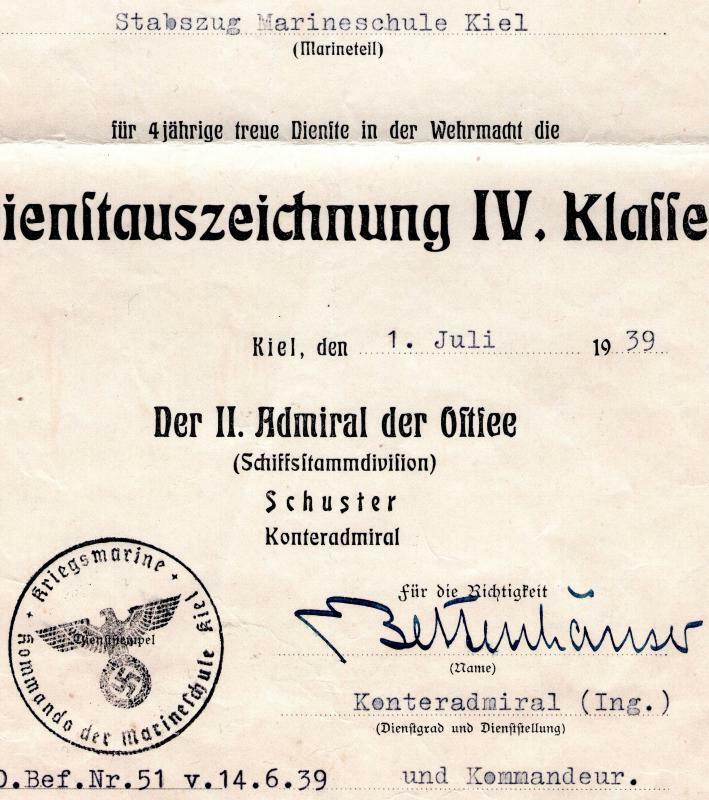 A Minesweeper document to a Stabsobersteuermann Walter Fiedler,signed in Wilhelmshaven on 8 November 1940. It is a large 12 x 81/2 inch (A4) doc. 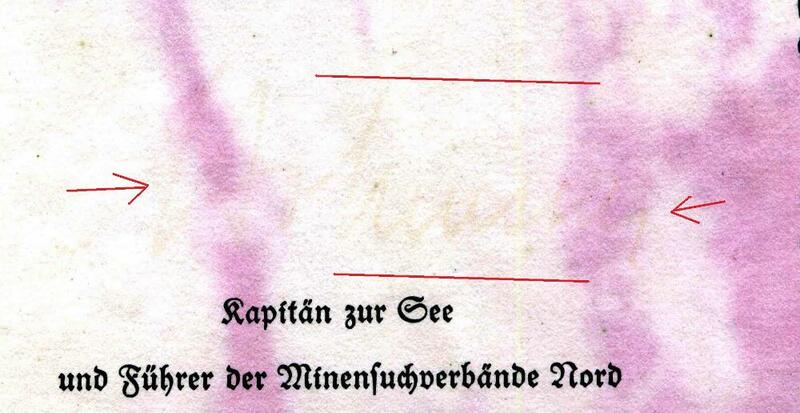 Sadly,the signature of the K,zur See und Fuhrer der Minensuchverbande Nord has faded and is barely visible. 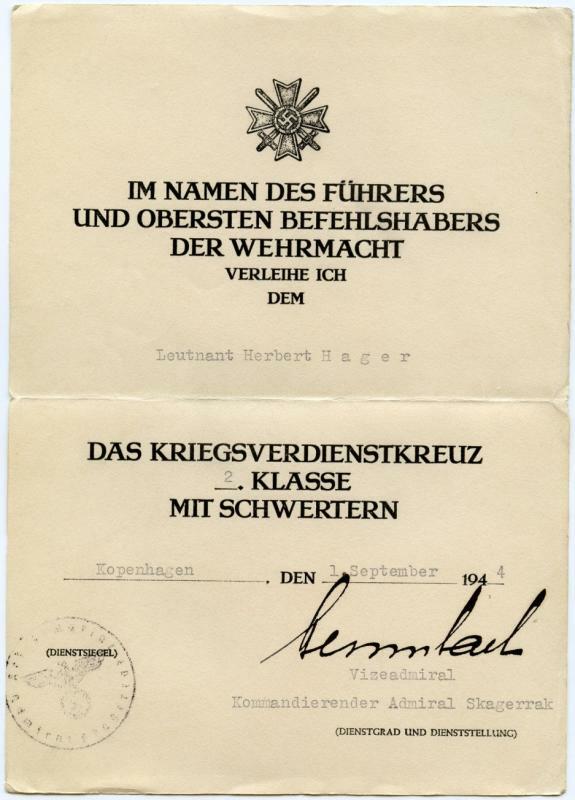 Any idea who the signer of this document was ? 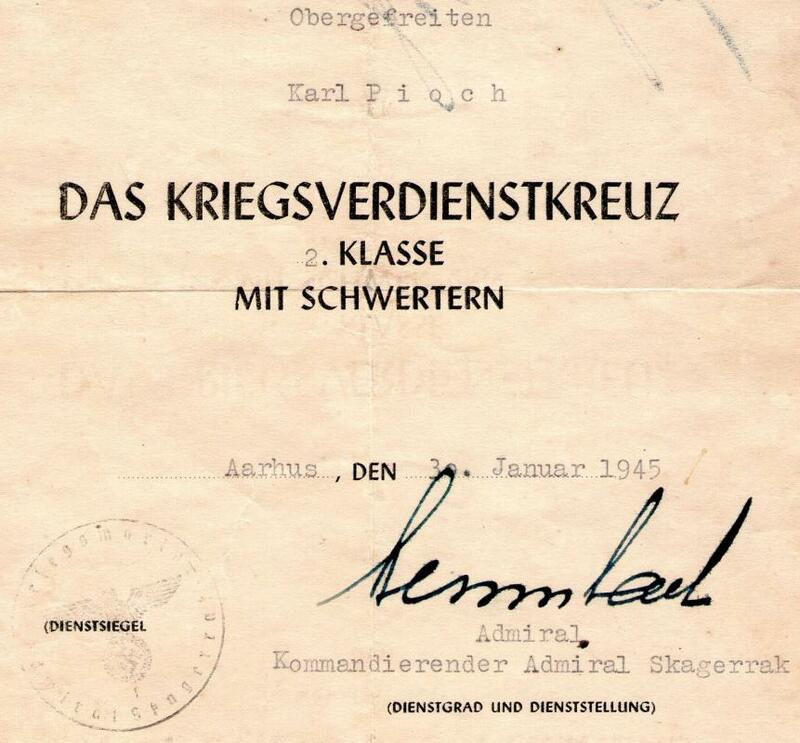 Being honest here i am going to sell this document but it would be nice to figure out who signed it. 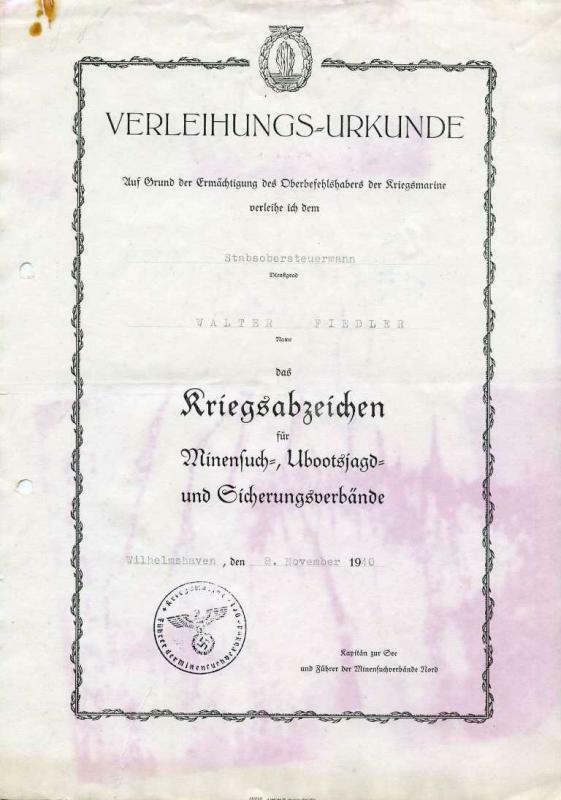 I need to raise money for a very special (to Me) Hilfskreuzer document. I think it is the signature of Knights Cross winner Kurt Böhmer. As you say, it is very faded but I think I can make out the 'öhm' part of his name. 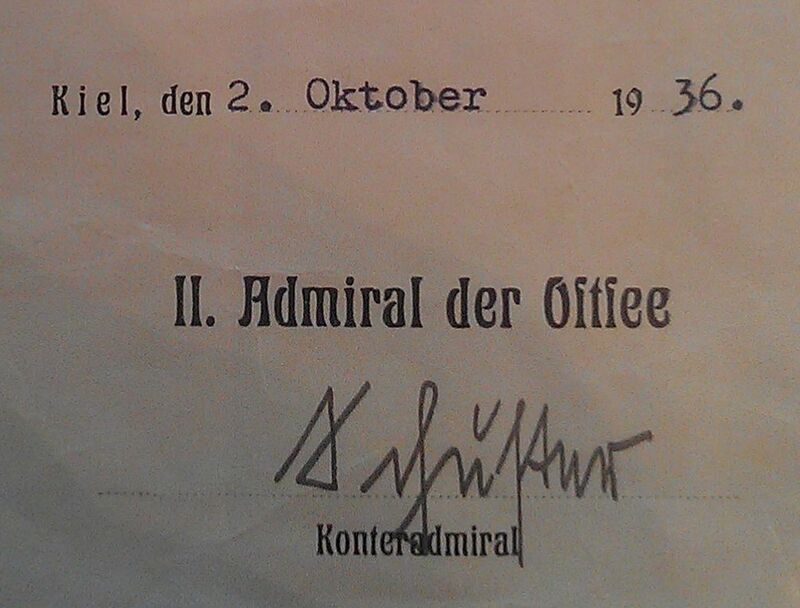 I think you are correct.Here is another similar document signed in Wilhelmshaven about a month later by Bohmer. Yep, seeing the clearer signature I would say that it is one and the same. you have been a great help,as always. What do you think about this signature? Kapitän zur See Hans-Casper von Schönermark. Dear friends, who is this? 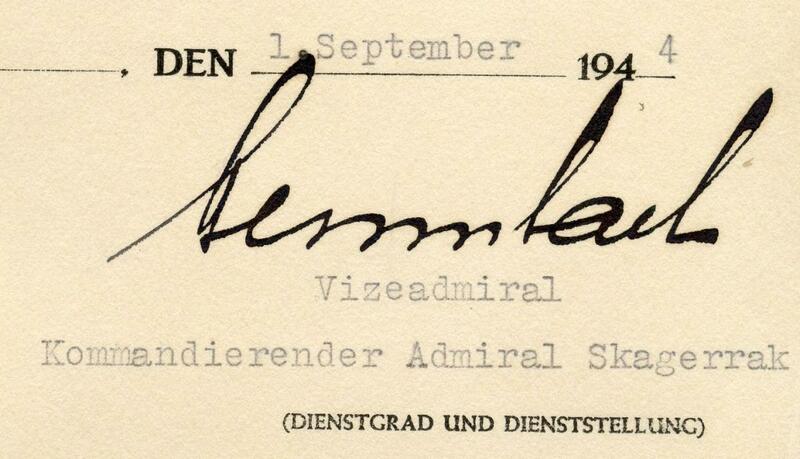 This is signature of Kommandierender Admiral Skagerrak. 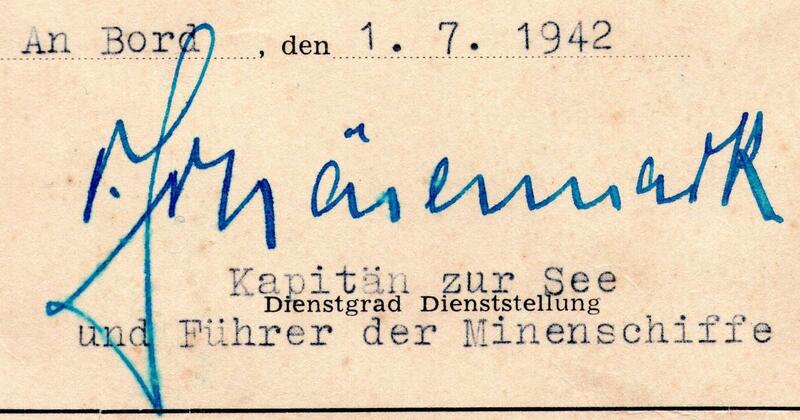 Is this signature of Hans-Heinrich Wurmbach? Based on the stamp and date, I would say so, yes. I would also say this is a Wurmbach signature. Dear friends, thank you very much! 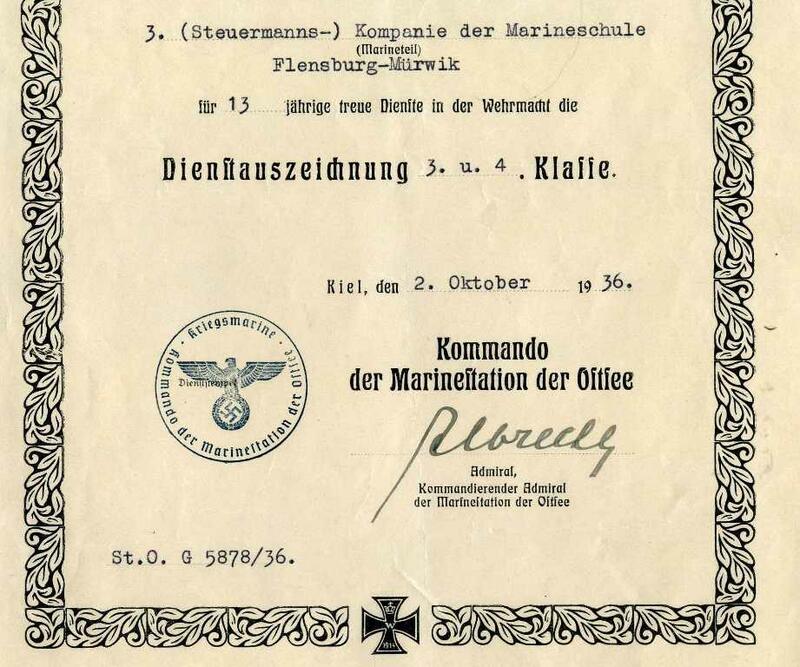 Who knows who was the commander of Marine-Artillerie-Abteilung I (http://www.lexikon-der-wehrmacht.de/Gliederungen/MarineArtAbt/MarineArtAbt1.htm) ?